Someone is tapping gently on the fence. “Please,” a thin voice whispers. Peeking through the cracks in the wooden fence are two cinnamon-faced scruffs. 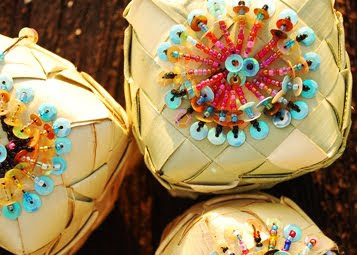 In their outstretched hands are dazzling sequined pots made of woven leaves holding little plastic bags of salt. “Please buy salt for school.” Their voices are pathetic: whiney, wretched and woebegone. 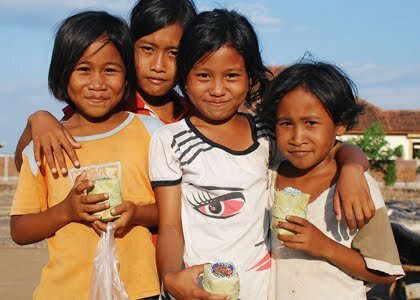 “No money for school,” they bleat. One points north, the other west. They shrug. 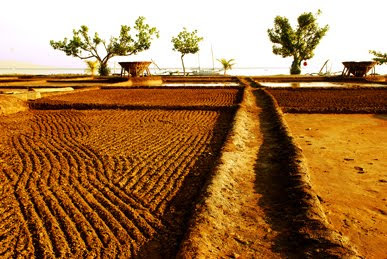 On this strip of beach, in front of Café Garam in Amed, Bali, there are nine salt farms, each worked by a different family. Each farm has four small square salt fields with a two-metre high bamboo funnel (tinjung) in the centre. The sea salt business is not big business; the salt workers are among the poorest in Bali, but Amed salt is by far the most delicious, crisp and crunchy salt I have ever tasted. 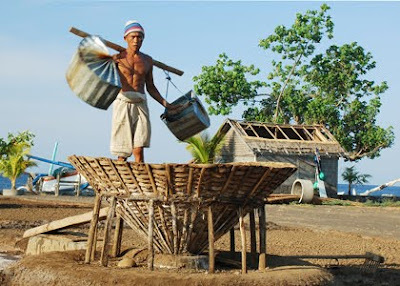 The salt farmers (petani garam) wade into the sea with zinc baskets hanging from poles carried across their shoulders. They wade out again with 25kg of seawater in each container. The seawater is poured onto the four square salt fields to increase the salt concentration of the soil. After three days, now bone dry, this salted soil is raked up and packed into the tinjung. 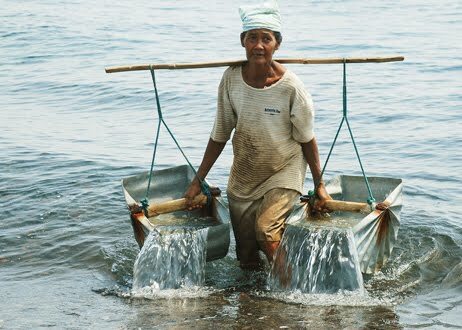 To ensure the salted soil is packed hard, thereby producing a more effective filter, the salt farmers climb into the funnel and do a hopping dance, stamping the soil down tight beneath their bare feet. The seawater from the containers will filter through this salted soil layer and be collected in a small reservoir beneath the tinjung. Along the beach, carved like dugout canoes, are rows of palungan: tree trunk troughs. 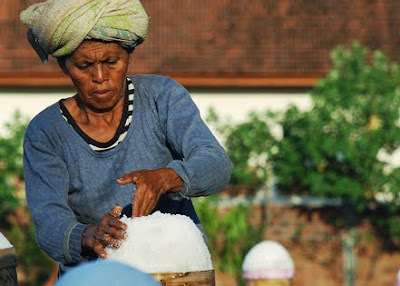 The salt farmers pour the concentrated salt water into the palungan, where the water will evaporate in the Amed sun. 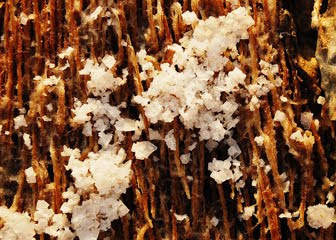 The salt crystals are later scraped out and collected in woven baskets. 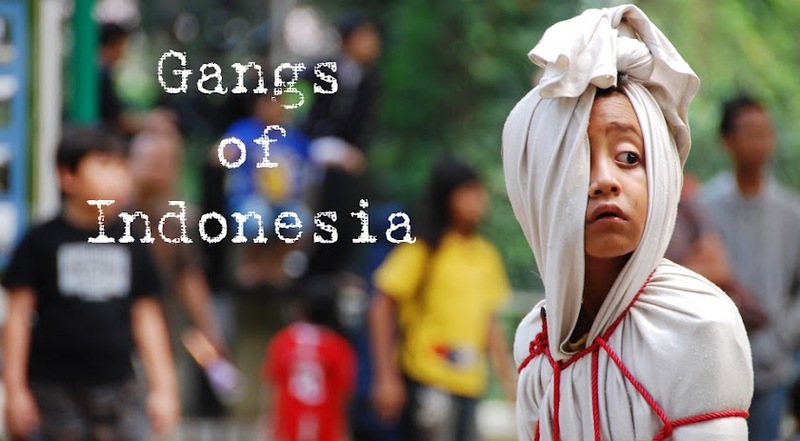 Any foreign bodies are picked out by hand. The salt is ready for sale.